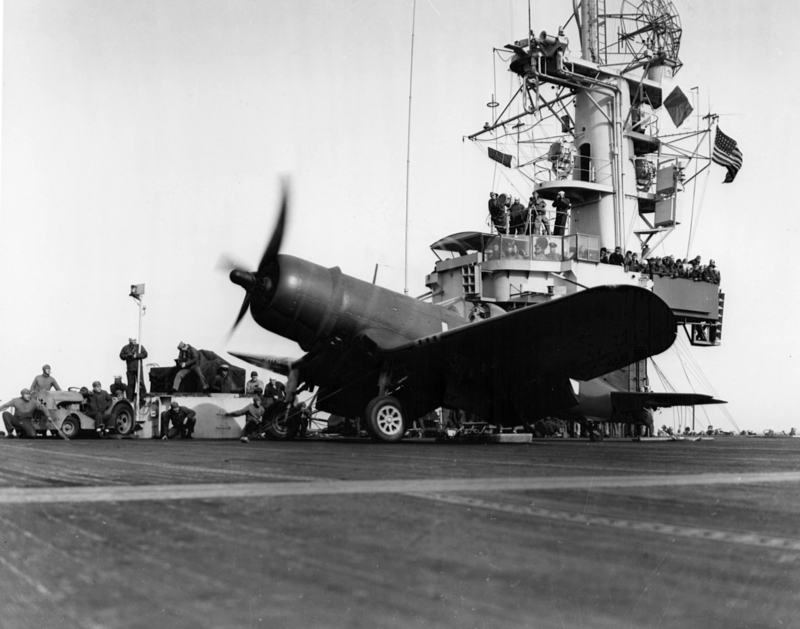 F4U-1D Corsair about to be catapulted from the USS Block Island. 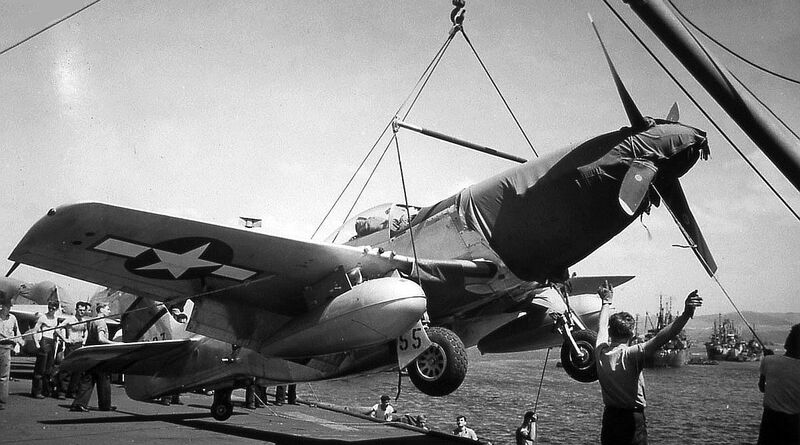 Note the harness attaching the plane to the catapult shuttle. 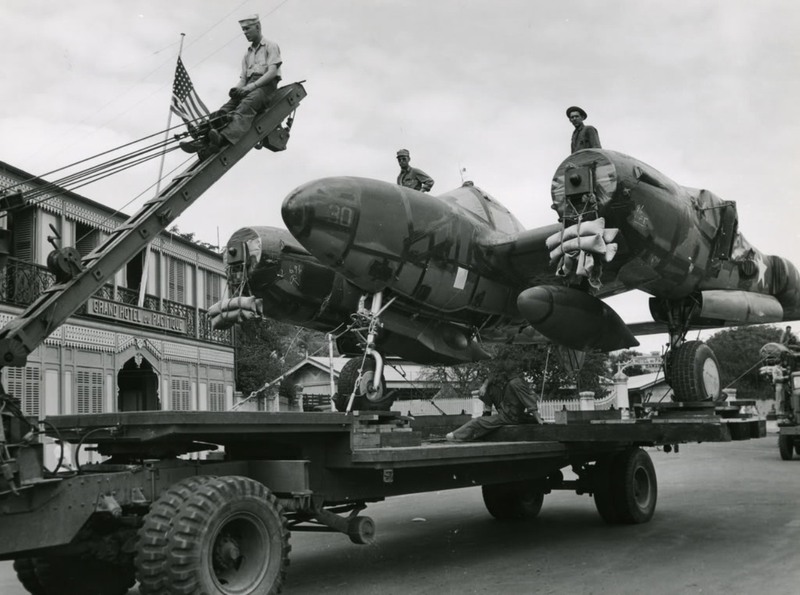 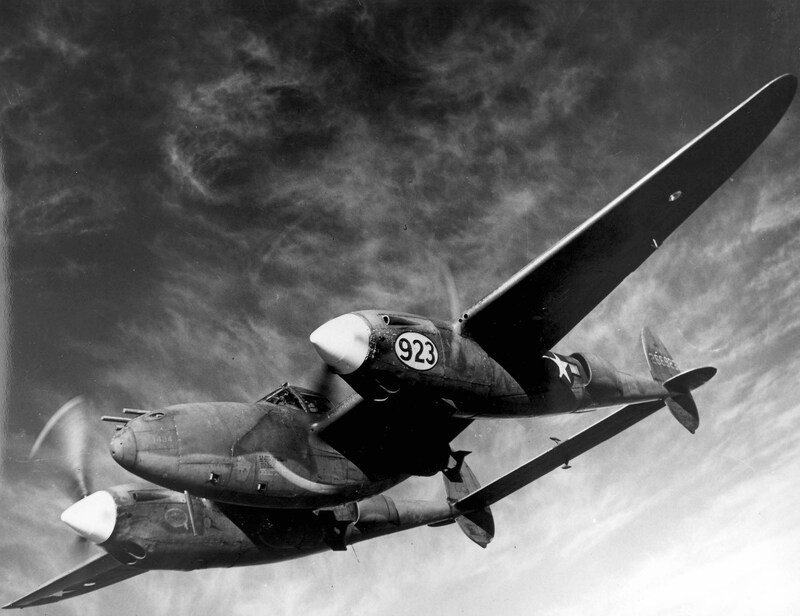 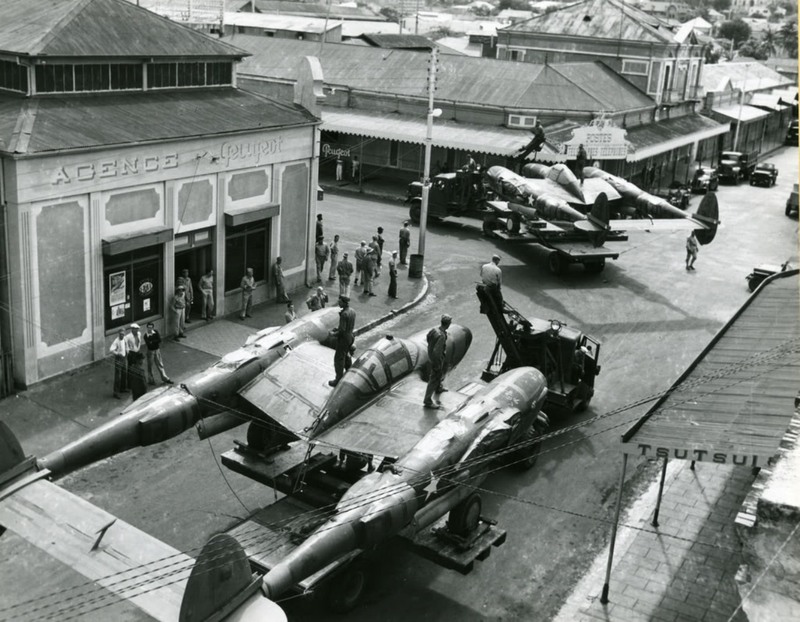 A series of photos of partially disassembled P-38s being moved through an English town. 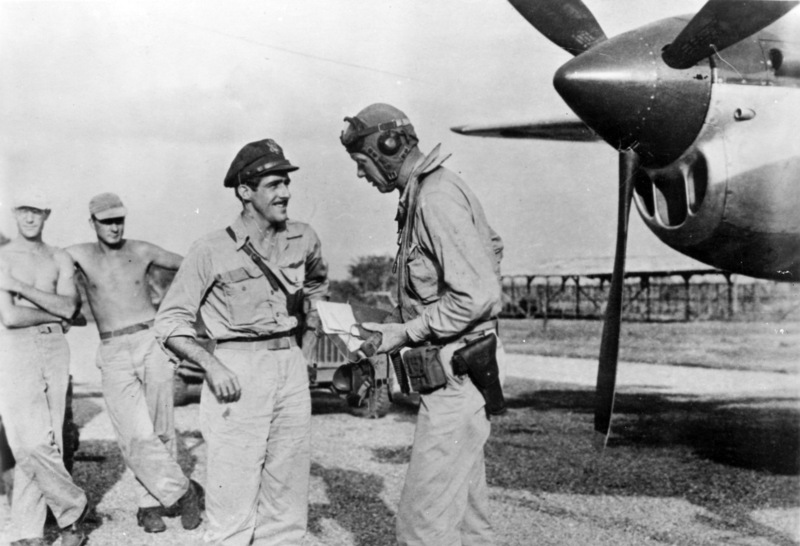 Charles Lindbergh with Tommy McGuire, the second highest scoring US Ace at 38 kills. 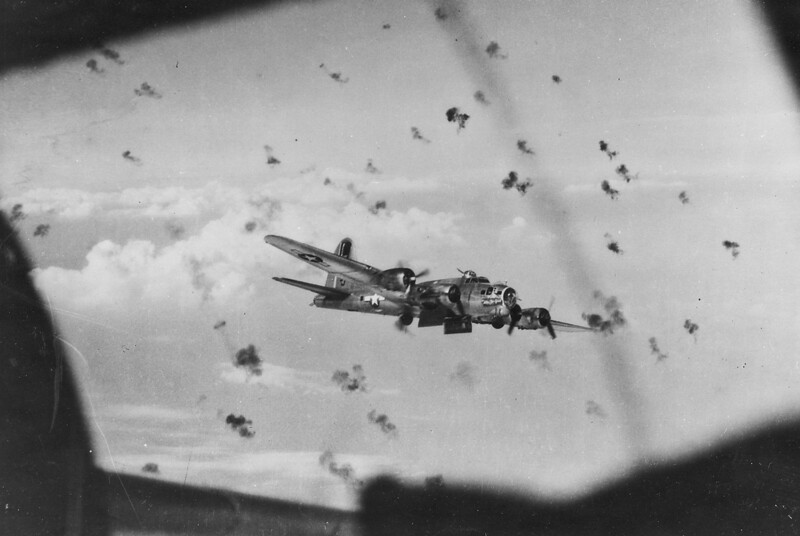 He would be killed a few months after this photo was taken. 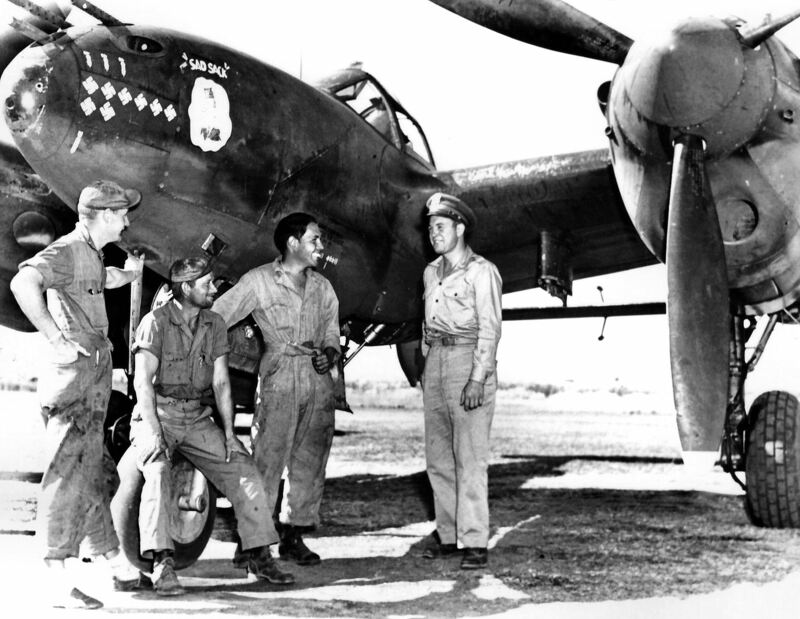 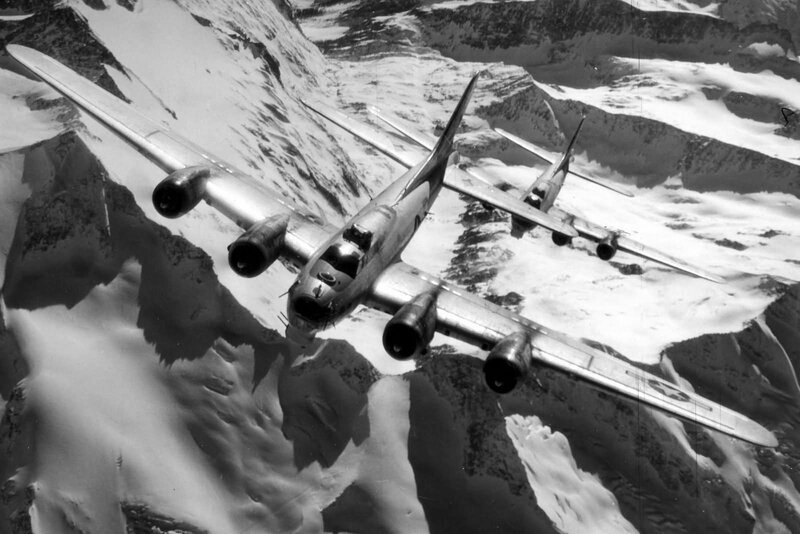 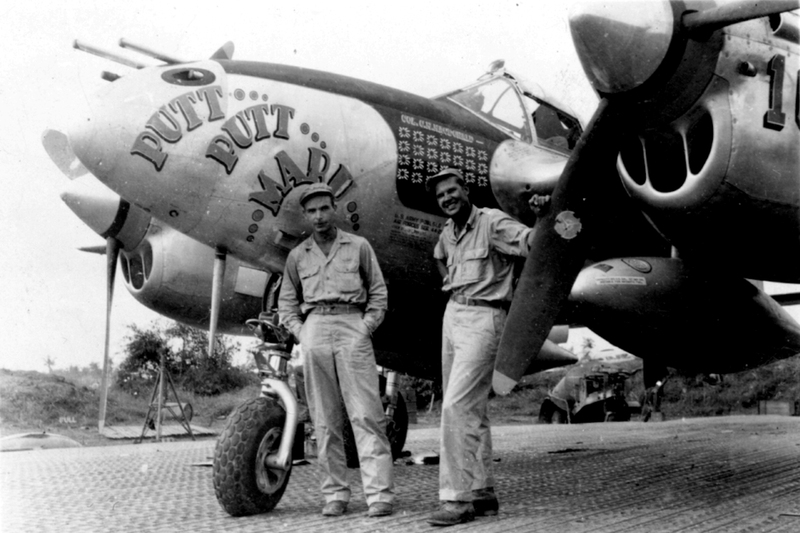 These two men flew several combat missions together, even though Lindbergh was a civilian. 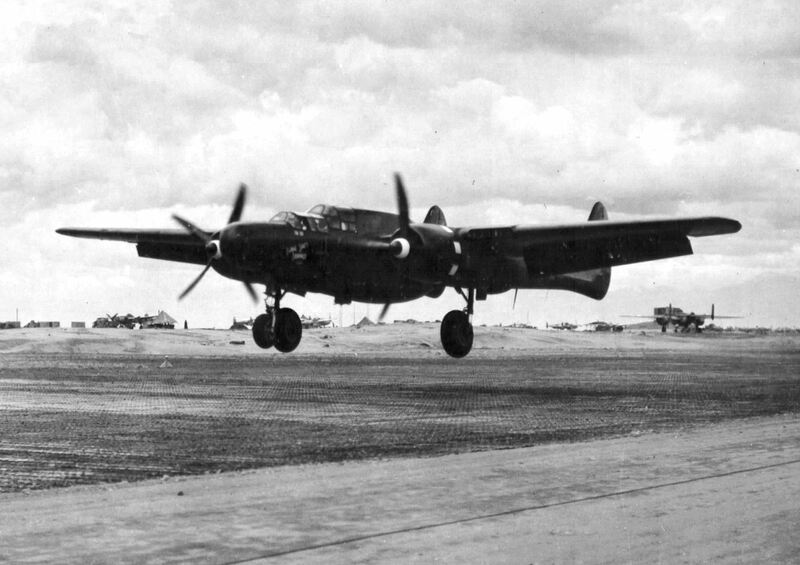 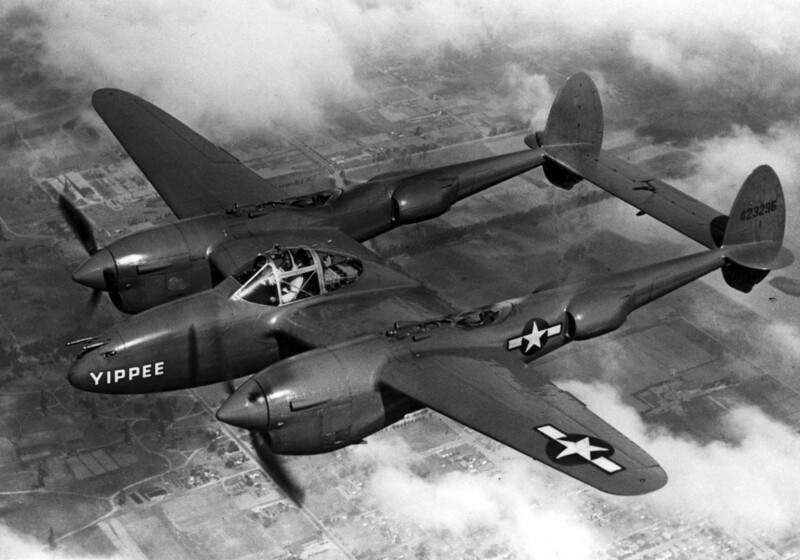 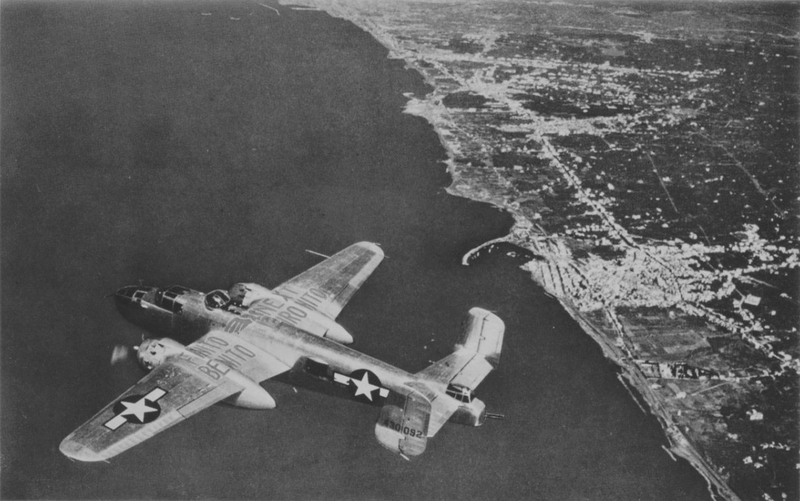 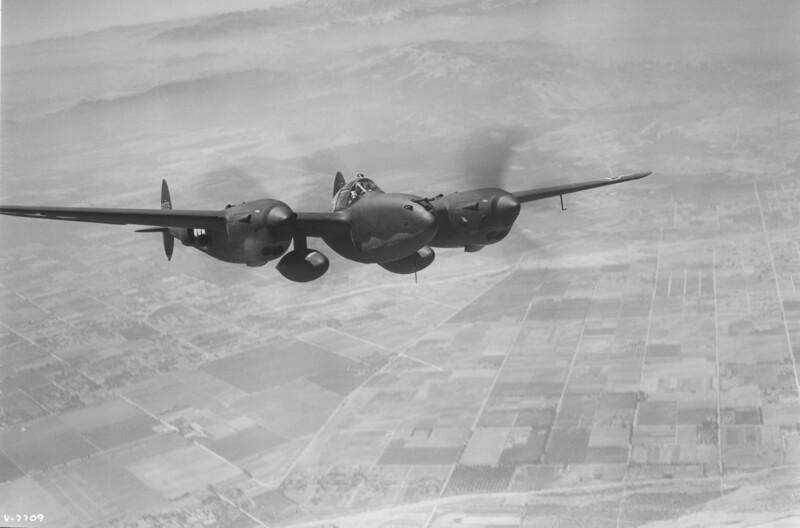 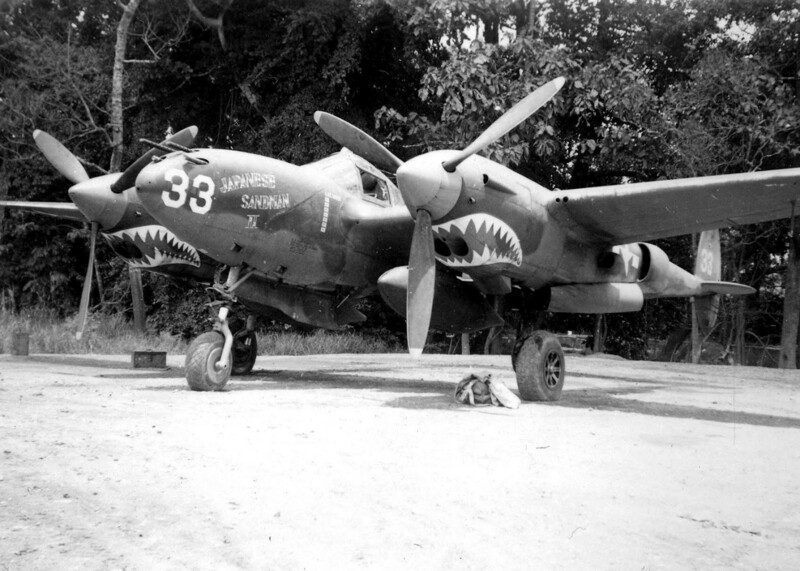 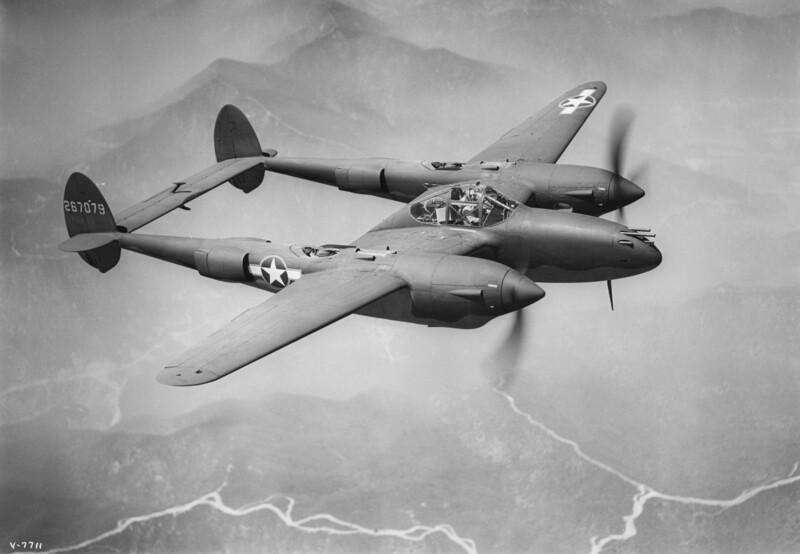 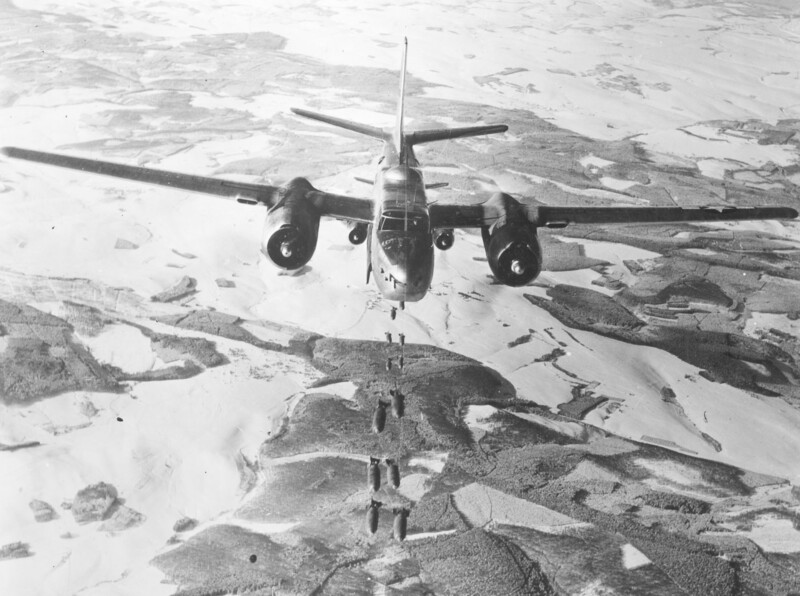 A B-25J with some odd writing on it. 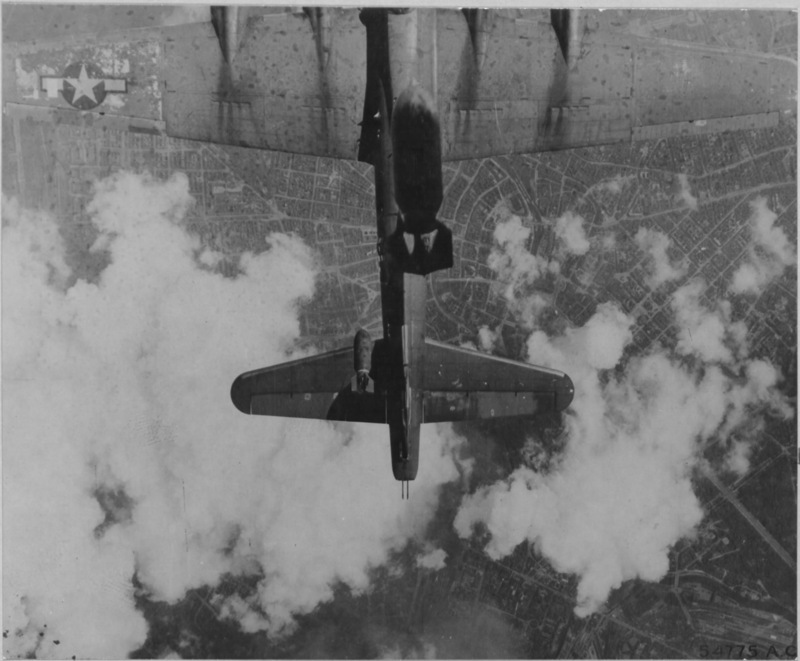 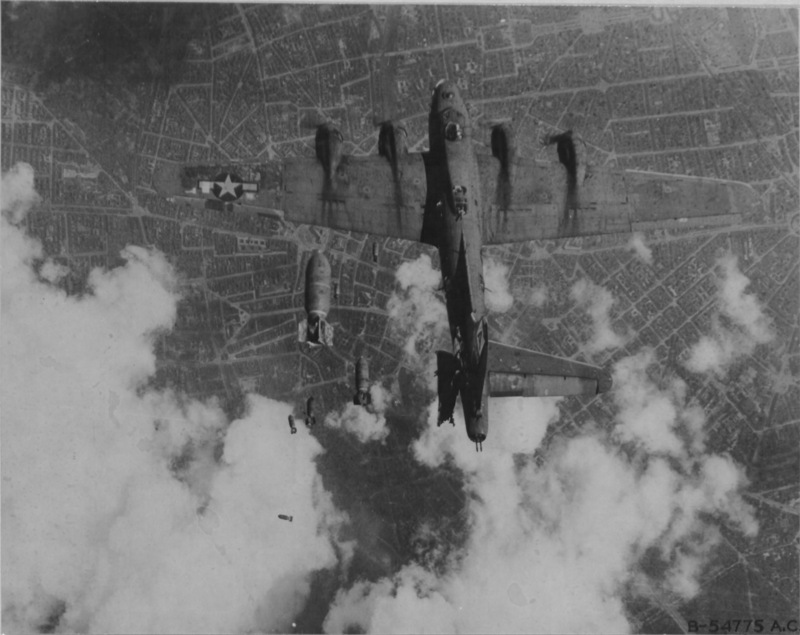 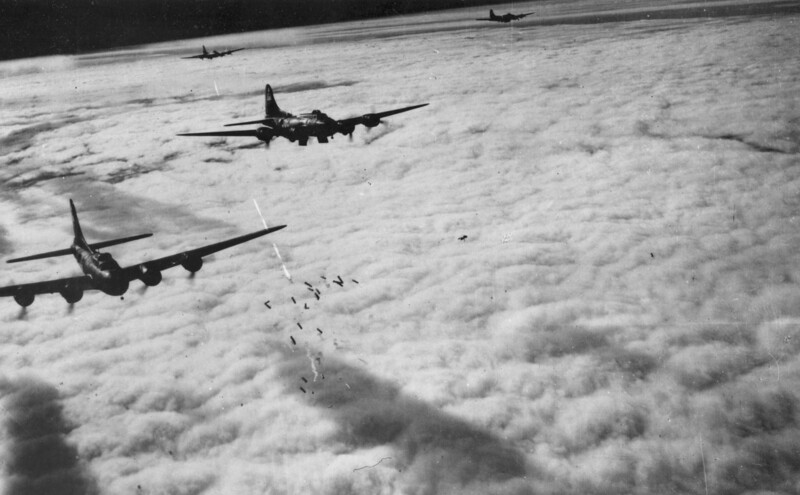 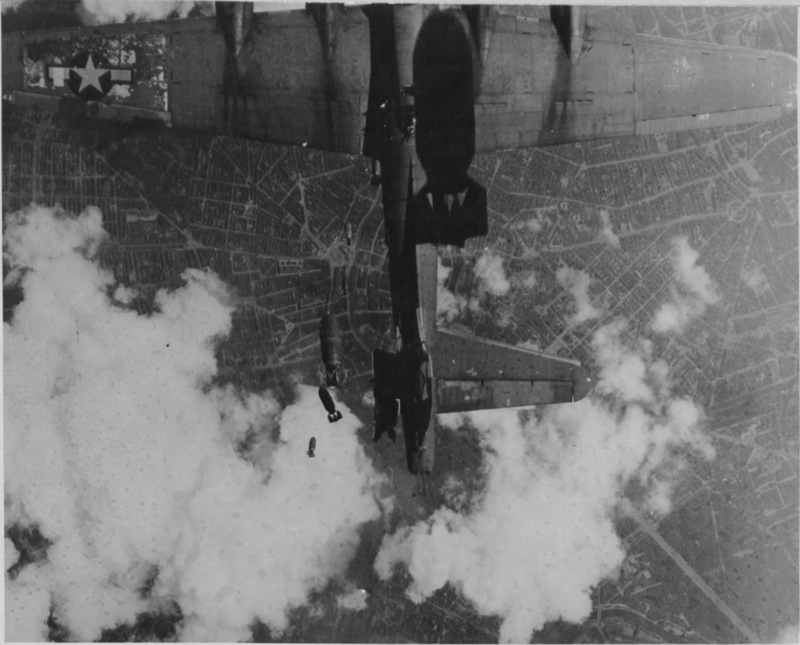 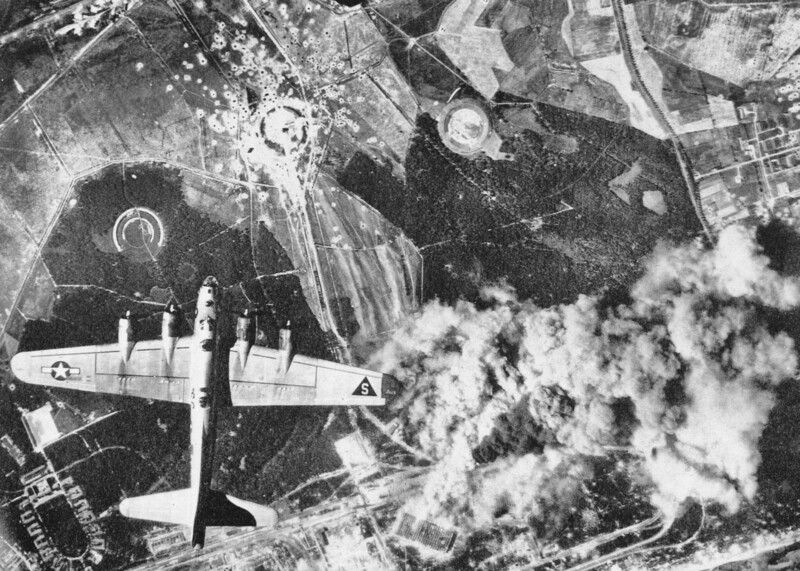 Boeing B-17F radar bombing through clouds over Bremen, Germany, on Nov. 13, 1943. 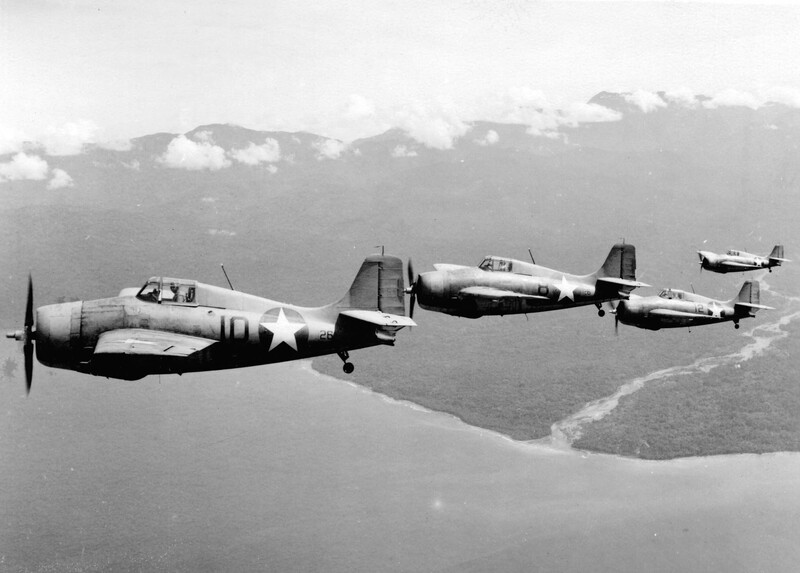 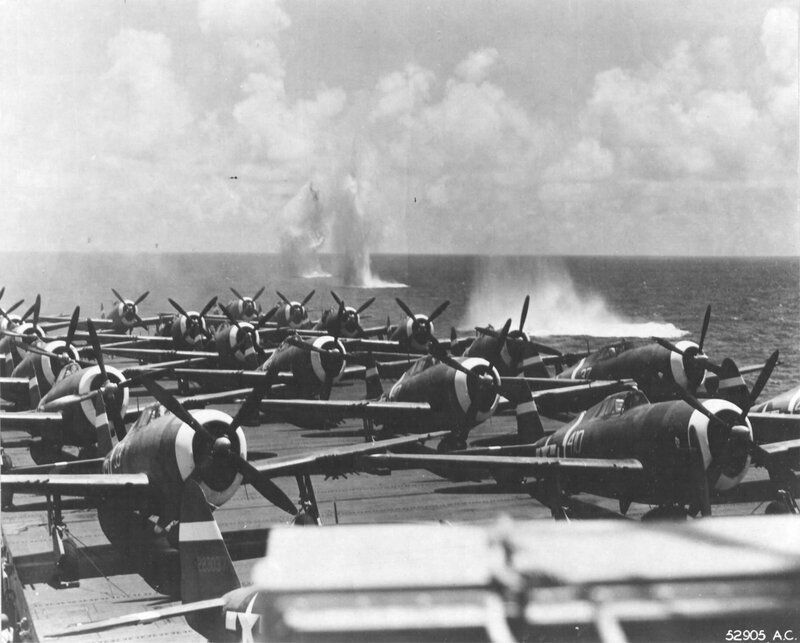 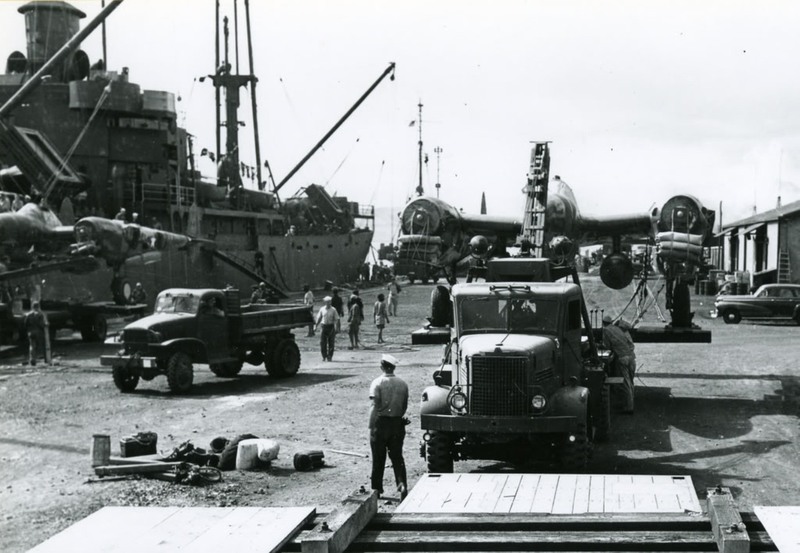 P-47Ds 73rd FS 318th FG 7th AF being ferried to Saipan on USS Manila Bay CVE-61. 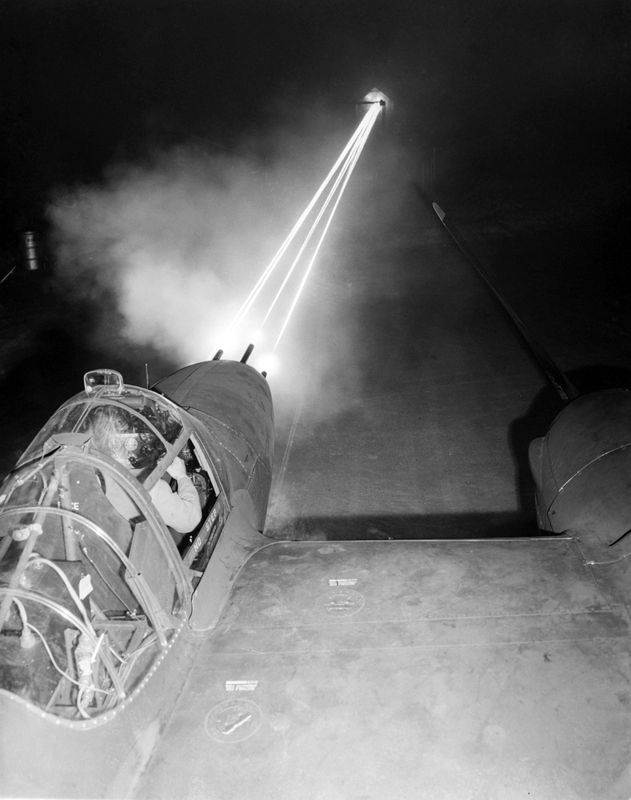 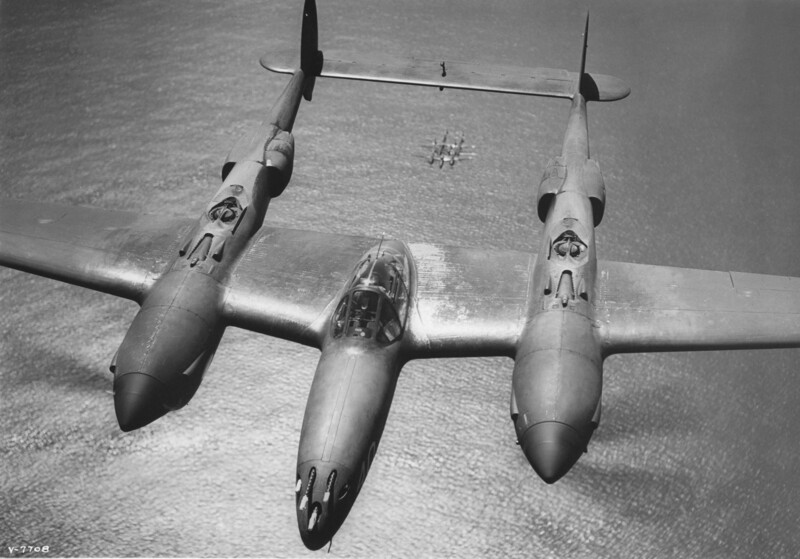 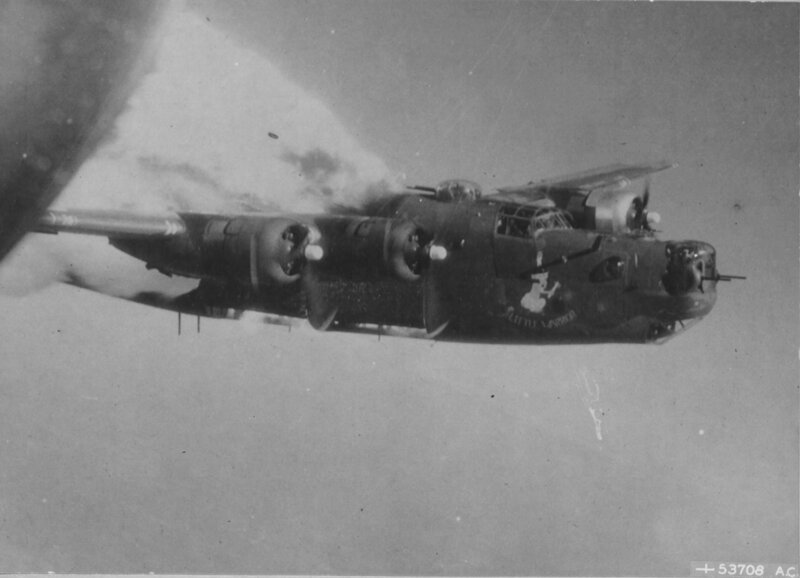 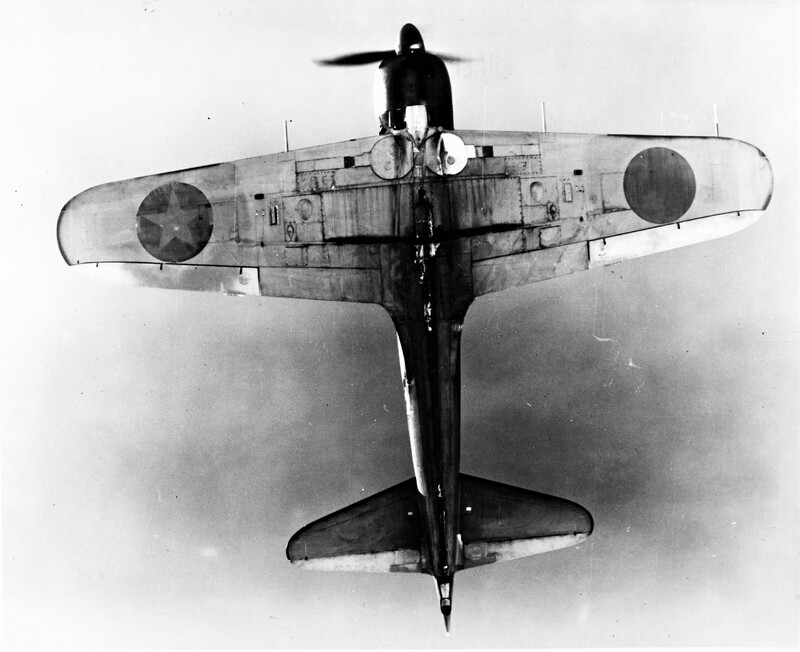 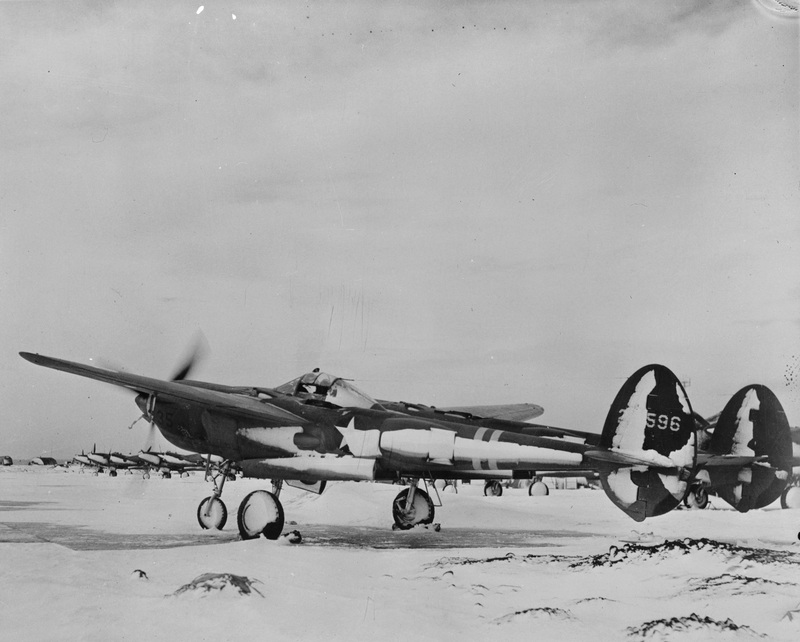 Attacked during refueling operations east of Saipan (appx 15.00, 147.00) by four Aichi Val dive bombers.